I feel like I'm 15 again, talking about a new solo record from guitar virtuoso Steve Vai. 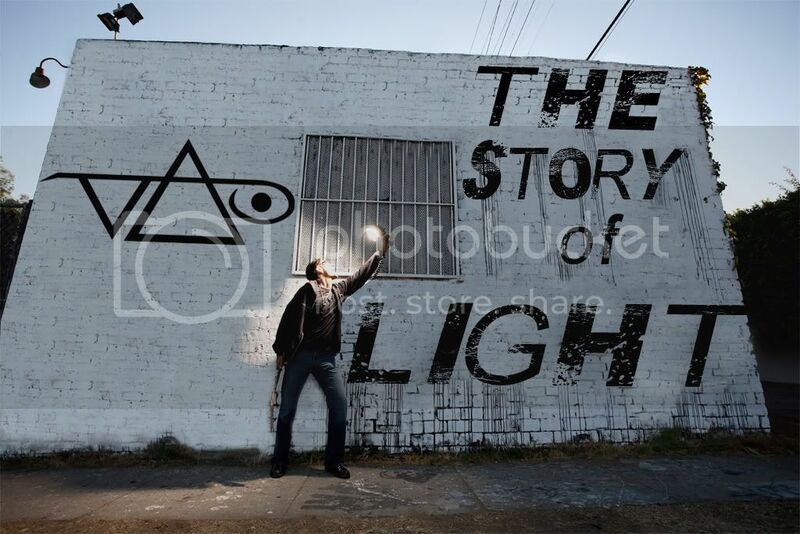 Story Of Light is the former Zappa protege's latest album, his first studio set in three years. Among the things that set him apart from random shredders and noodlers is his innovative streak both as a technician and a composer. He has studied the rules and learned how to do things right and set about finding ways to bend and break them. Among the other interesting new releases this week is a Fleetwood Mac tribute album called Just Tell Me That You Want Me. The set includes contributions from Lee Ranaldo featuring J Mascis, Antony, Trixie Whitley, Billy Gibbons & Co., Best Coast, New Pornographers, Marianne Faithfull, Lykke Li, Karen Elson, Matt Sweeney and Bonnie Prince Billy, Washed Out, Tame Impala, Craig Wedren with St. Vincent, The Kills, Gardens & Villa, The Crystal Ark, and MGMT. It's an interesting lineup of artists covering songs from a Hall of Fame band with several interesting periods in their history. Freidman, Marty - Bad D.N.A.